Move in ready country home close to town and I-69. 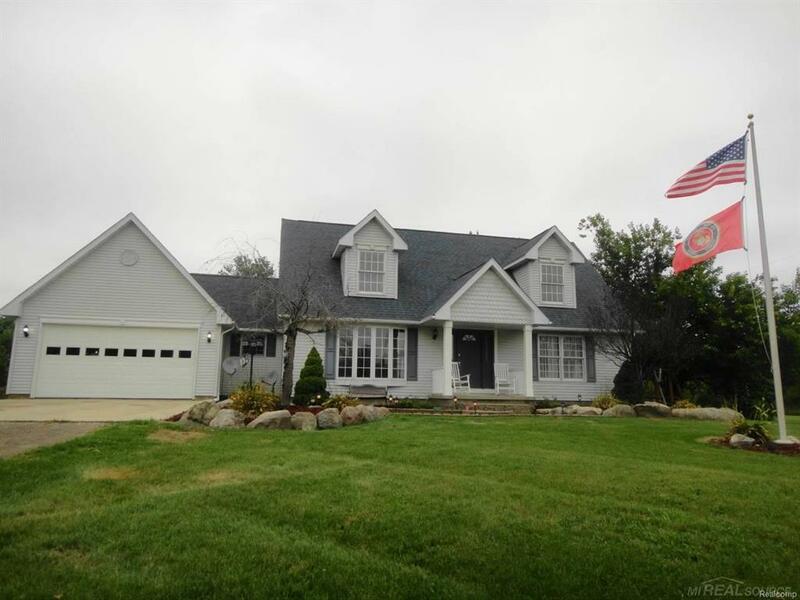 This 2100 sqft Cape Cod sits on a beautiful 5 acre parcel with pond and fountain. Home features a large kitchen with stone backsplash, 3 bedrooms including first floor master suite with private bath, first floor laundry, first floor Half bath, twin guest bedrooms with new carpet, Large second floor loft, attached 2 car garage, Fresh paint and brand new 30 yr roof.